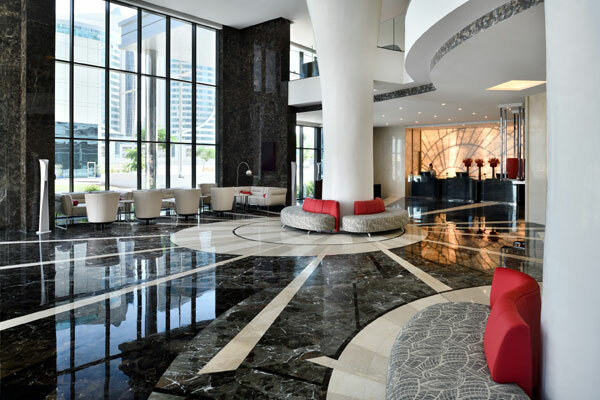 Hospitality giant AccorHotels has announced the opening of a new hotel apartment complex in Downtown Dubai under its Mövenpick brand. Mövenpick Hotel Apartments Downtown Dubai is the brand’s sixth property in the emirate, promising guests the perfect fusion of hotel and residences through well-appointed accommodation, unique dining concepts, leisure and business facilities, as well as a unique on-demand private chef service and family-friendly amenities. With 244 units that range from stylish and spacious deluxe rooms, to fully-equipped one-, two- and three-bedroom apartments, it’s the perfect home-away-from-home for short- and long-stay guests. The new property also boasts a prime location at just a five-minute walk from the world’s tallest building, the Burj Khalifa, as well as the largest shopping and entertainment centre, The Dubai Mall, and is close to Dubai International Financial Centre (DIFC). “The brand’s newest Dubai property caters to a growing demand for world-class apartment-style accommodation in one of the city’s most sought-after districts, complemented by exceptional dining options and a warm and intuitive service for which Mövenpick is renowned,” said Marc Descrozaille, chief operating officer, AccorHotels, Middle East & Africa. All guestrooms and apartments are fully-serviced and have complimentary wi-fi, offering guests contemporary residential-style accommodation in the heart of the city. The apartments feature dining areas and fully-equipped kitchens with multiple up-to-date amenities including a cooker, microwave, fridge, washing machine and much more. For the ultimate “feel like home” experience, guests have access to a private chef on request, who will cook a meal in the comfort of their own apartment. A 24-hour à la carte breakfast is also available, while Mövenpick’s Fine Food products can be purchased too. Guests can also dine at the Bien all-day dining restaurant offering regional and international cuisine, complemented by an à la carte menu, salad bar and freshly-baked cakes and savoury treats throughout the day, as well as Mövenpick’s signature dishes and ‘Go Healthy’ options. For quick snacks, light bites and refreshing drinks by the pool or in a relaxed outdoor garden setting, the Oasis Pool Lounge is another dining venue offering a homely atmosphere with world-class cuisine. Other facilities include an outdoor pool, a kids’ pool, gym and sauna, while four state-of-the-art meeting venues, can accommodate up to 220 guests, featuring the latest audio-visual and video-conferencing technology. All rooms offer natural daylight and can be customised to suit a range of meetings and events while the mezzanine area is ideal for coffee breaks and receptions. For families travelling with children, Mövenpick’s Family programme offers several benefits including the ‘Power Bites’ healthy kids’ menu; complimentary on-demand baby essentials; and other amenities and services ranging from kids’ TV channels to babysitting.